This Plasma/LCD TV display mount is designed to support standard flat panels between 13"-23" inches with a maximum weight of 33 lbs. (see further compatibility information below). It has been manufactured with solid heavy-gauge steel and powdered coated black for a smooth long lasting finish. 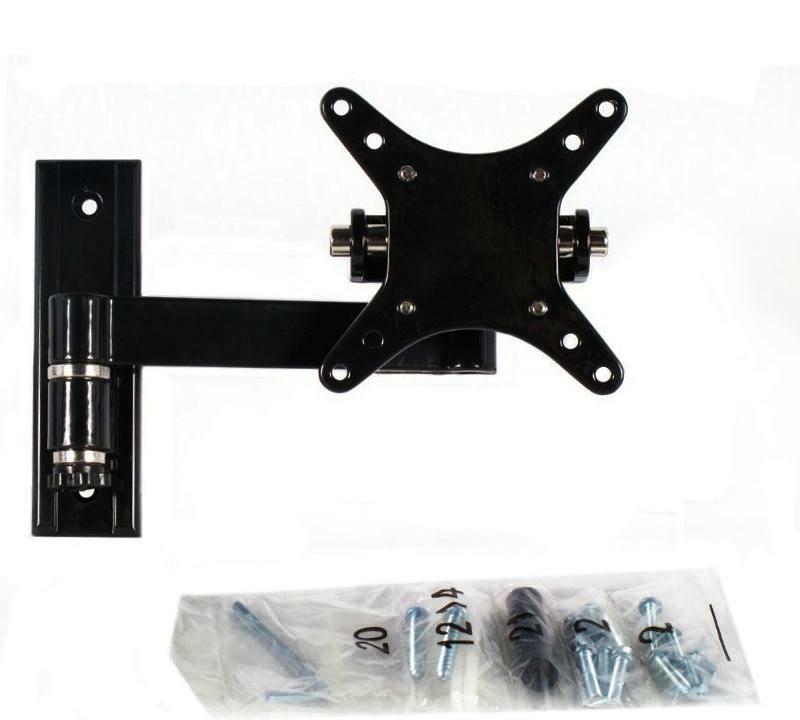 This articulating TV bracket offers up to 180 degree side to side rotation with a tilt feature. The 180 degree rotation helps the user control the viewing angle significantly. Adding to this rotation is an up and down 15 degree tilt (to assist with preventing glare). Each of our models are VESA compliant (Video Electronics Standards Association) for optimal compatibility. Review your televisions owner's manual, it may offer the VESA number. Simply, this code tells you in millimeters how far apart the holes are on the unit. For example 100 VESA means a perfect square with screws placed 100mm apart. This bracket is made of solid heavy-gauge steel construction. Unlike thinner gauge products, this wall mount bracket is the same product as expensive "name brand" brackets that normally selling for considerably more. In fact, this is the same product, produced in the same ISO 9000 certified factory, but because of our unique relationship with the factory, we are able to offer our brackets at lower prices. 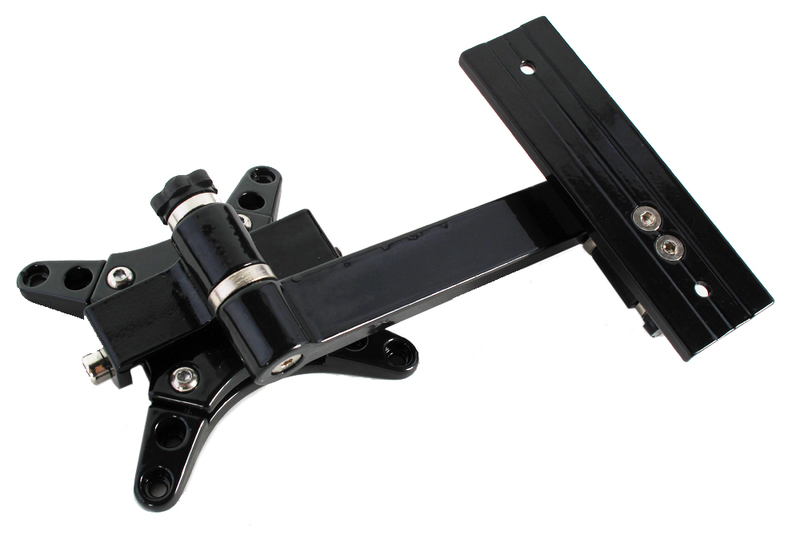 As the only authorized factory direct retailer for these high end OEM universal wall mount brackets, we are also able to offer this product with a lifetime warranty. We recommend the following tools for installation: stud finder, 3/16" drill bit, ?" masonry bit for concrete (or concrete block installations), wrench or socket set, Phillips screw driver, tape measure, and a pencil for marking. It is suggested that all TV brackets are installed by two or more people due to the weight of most TVs and the accuracy needed for installation. This unit comes with a limited lifetime warranty which protects the end user against manufacturer's defects. This warranty is void due to misuse/unintended use of product or improper installation.